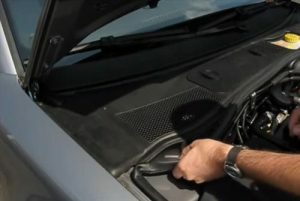 There are several components of an air conditioning system in a 2001-2005 VW Passat with the cabin air filter being one of them. 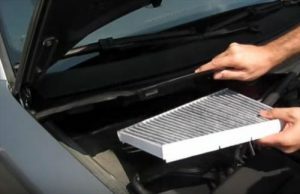 If your A/C system is not blowing cold air properly the filter may be dirty and unable to let air pass through the system. The cabin air filter keeps out debris from the A/C system and working properly. 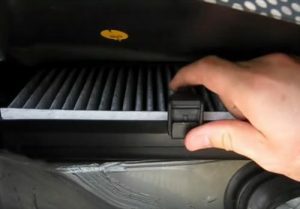 To work correctly any air conditioning system must have good air flow to let cold air into a vehicle. It is easy to replace the filter with minimal skills or tools and falls in the DIY category. 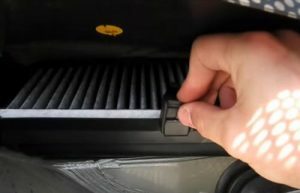 Below are the steps to replace the filter with pictures. 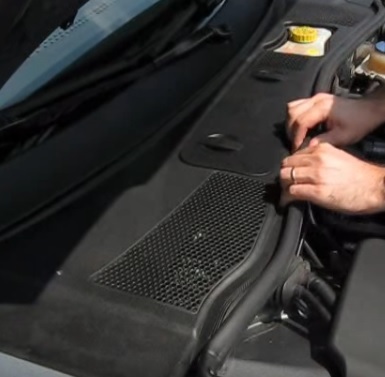 A new filter will need to be bought online or at a local parts store. 1… Open the hood and pull back the weather striping on the passenger side of the cowling. 3… Pull the clip out from the forward edge of the filter housing. 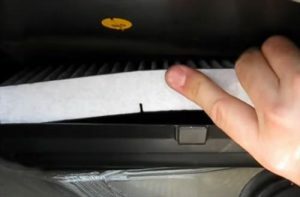 4… Lift the filter straight up and out and remove it. 7… Put the plastic cowling back down into position and put the weather striping back into place.